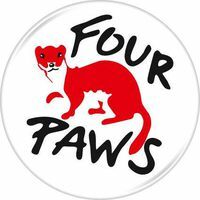 FOUR PAWS is an animal protection organization whose vision is a world where humans treat animals with respect, empathy, and understanding. 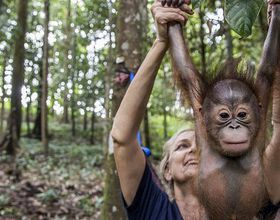 FOUR PAWS runs several wildlife sanctuaries and rescue centers throughout the world which provide home and rehabilitation for rescued bears, primates, big cats, and elephants. Headquartered in Vienna, Austria, FOUR PAWS has offices in 12 other countries including in the United States.